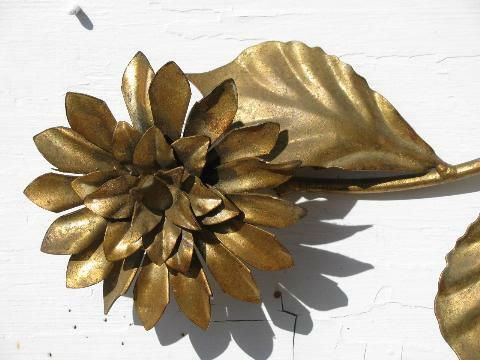 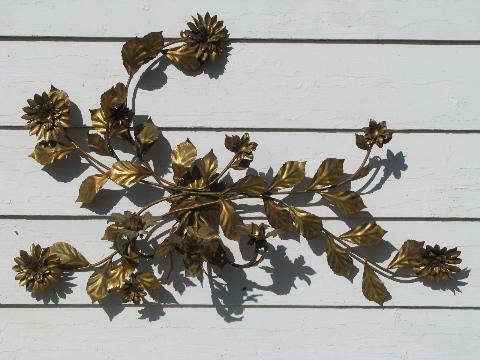 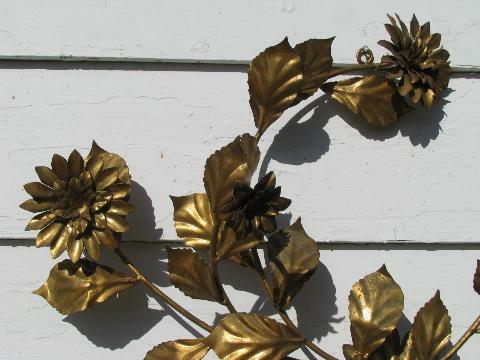 Beautiful huge tole wall sconce (unmarked, probably Italy), 42" x 30" overall. 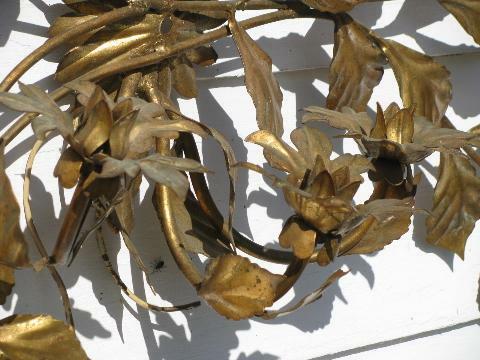 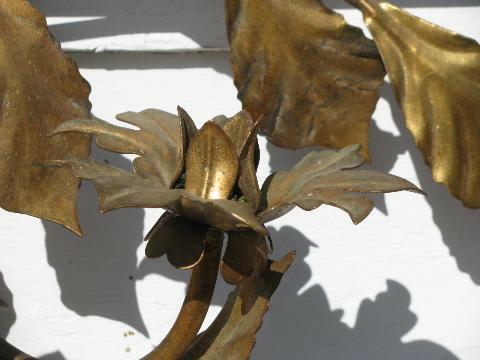 This has an antique gilt colored finish over wrought metal, it shows a few rust spots where the finish is worn or rubbed. 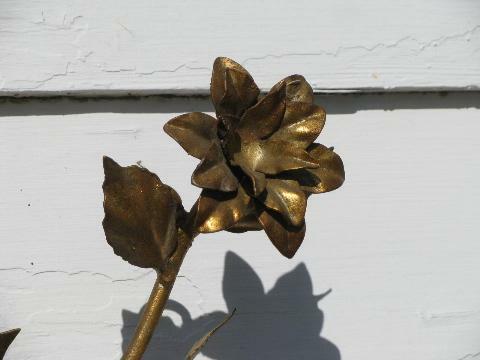 This was originally made to use as an electric light, but at some point has had the wiring removed, to hold candles rather than electric candle lights. 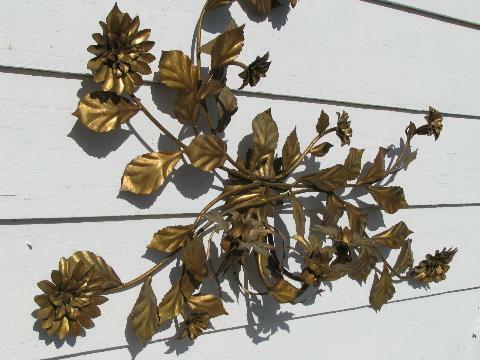 It would be gorgeous either way, and would be a fairly simple project to re-wire it.